This is a stage sized Zig Zag Deck. 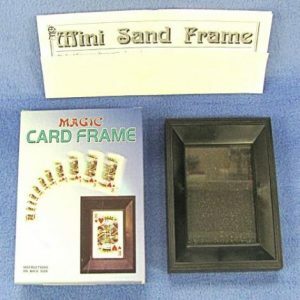 This effect uses high quality Bicycle brand jumbo playing cards, and a beautiful handmade wooden houlette. 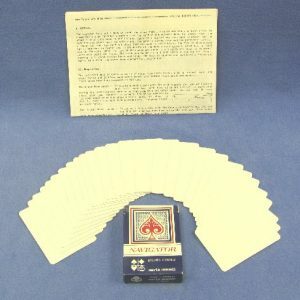 The performer removes a jumbo deck of Bicycle cards out of its box and spreads the cards to show that they are normal. 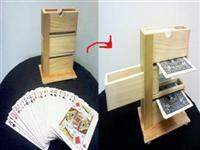 The cards are then inserted into the houlette. 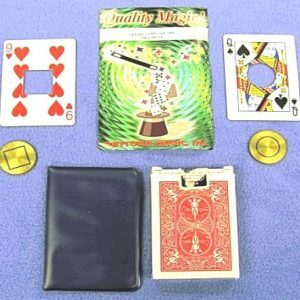 A couple of cards are removed from the deck which is in the houlette, and placed perpendicular to the houlette dividing the cards into thirds! The middle of the houlette is then moved out as in the “Zig Zag” illusion. The center of the cards have vanished!